Bantwal June 23, 2016: The Bantwal police have succeeded in arresting Goldsmith who stole 229 grams of gold at his workplace near Bantwal. The arrested has been identified as Pinto Rawat resident of West Bengal. 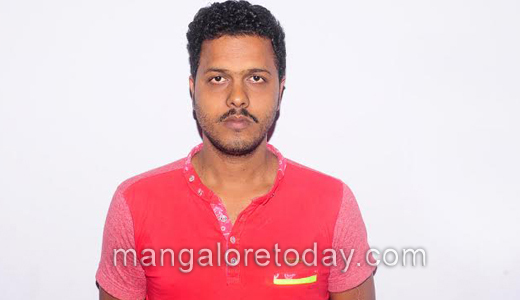 According to the police Pinto Rawath was working at Apoorva Jewellers in Bantwal. It is said that on June 6th Pinto Rawath had gone out to drink tea from there onwards he did not return back. On the suspicious note shop owner found 274 grams of ornaments gone missing. His greed has ruined his life. We have to be satisfied with whatever we have and not steal or rob others . If we do so one day we will be no where . Instead of stealing if he had worked hard he would have gained more than this . We have to understand the fact. We have to be prompt and loyal then we will prosper but this will take us to jail finally.